Plantar fasciitis affects about 10% of the entire world population, which roughly works out to 700,000,000 people worldwide. It presents as severe plantar heel pain that if left untreated can become a chronic problem. There are several treatment options including but not limited to medications, steroid use, and RICE (Rest, Ice, Compression, and Elevation). When it comes to plantar fasciitis, relief, prevention and cure is broad, as are the causes and symptoms. However, the cheapest, quickest and most effective treatment is to ensure the correct footwear is always worn. Getting the appropriate footwear will truly help and prevent additional damage to your feet. So how can you say that a certain pair is the best? The best shoes or footwear will be able to provide the support your foot needs, and will effectively absorb shock from running or walking. For those lucky enough to have stumbled across this page and have pain-free and problem-free healthy feet, make sure you’re continuing to wear the correct footwear in order to prevent damage to your feet in the future. For those already experiencing arch, foot or heel pain, you’ll need to invest in some new sneakers. There are numerous things to look out for when choosing a pair of the best shoes for plantar fasciitis, and it can become overwhelming with all the different brands, choice and technical jargon, but no need to stress because our buying guide summarizes and simplifies everything you need to know. So, what are you waiting for? Feel free to read on. Most people who suffer from the disorder have had much success in reducing their midfoot and back of heel pain via non-surgical treatments simply by changing their footwear. 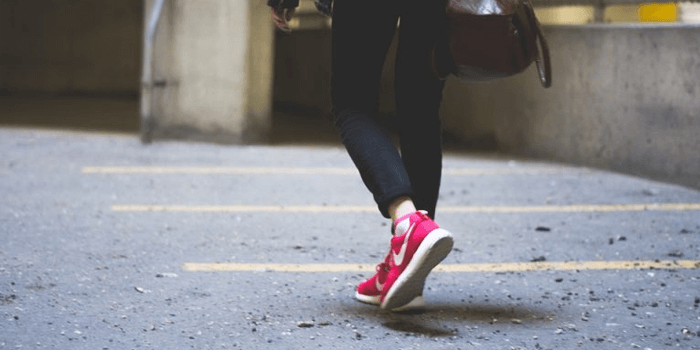 This is the quickest, cheapest and most effective way forward, and for this reason based on actual verified owner input we have produced a list of the best shoes for plantar fasciitis. The shoe reviews and pictures are not gender specific, for example each of the below come in different designs and color combinations to suit both men’s and women’s fashion needs. Like the Kayano 21, the newer and revised 22’s are also a great pair of running shoes for plantar fasciitis, both available for men and women. The sneakers come in various different colors so you can ensure that you’ll find a match for any taste. It is made of an imported synthetic material with a rubber sole to prevent slips and trips. It is specially designed to improve the natural gait (or alignment) and attempts to offer a natural relief from pain such as that arising from the fascia ligament. The included gel insert is easy to remove and replace if need be but offers a great support system for the wearer. The shoe looks great and would fit in with anyone’s wardrobe. The heel measures at 1.5” inches, and offers a moisture-wicking sock liner so it is great for those running in warm weather. Whether you opt for the 21 or 22, rest assured you’ll be purchasing a product made by one of the best brands in the world. When reading Asics running shoe reviews you’ll learn that these are well known for leading cutting edge technology. Thus, they are also good at creating shoes for foot pain relief. The GT 2000 is made of imported synthetic leather with a rubber sole to again reduce the risks of slips and falls. This particular shoe is specially formulated to help those running with a mild to moderate overpronation. It has an impact guidance system to help guide your foot to the proper placement upon touching the ground. 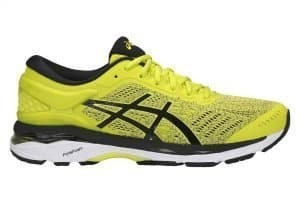 Of course it also offers a front and rear foot GEL cushioning system for comfort which Asics create so perfectly. They also boast that this is one of their lightest they have ever made. The insert is composed of two layers of memory foam that is designed to form to each user’s foot so you will actually get a personalized fit. These are Brooks’ top of the range motion control shoes; recommended by podiatrists as one of top plantar fasciitis shoes in 2017, they provide excellent performance for the heavy-to-severe overpronator. The Diagonal Rollbar adds rigidity to the forefoot and enhances mid-foot support, whilst cushioning is taken care of by the Full-Foot Brooks DNA Cushioning Technology which automatically and physically adapting with each foot strike to provide optimal balance and stability. Highly rated by owners, and considered one of the best shoes in its category by professionals, the Brooks Beast 14 doesn’t come cheap but is certainly worth the price tag. Not only are these built to last, they also provide a medical level of support and comfort with the aesthetics of trendy everyday fashion sneakers. The 990 range is a heritage classic which is under continual improvement, and the latest M990v3 is credit to their line up. Known for alleviating foot problems as a whole due to their pronation control and plenty of effective padding in the removable orthotic insoles, these are definitely a good choice for those who require foot pain relief. New Balance, a name that is synonymous with running has decided to create one of the best running shoes for plantar fasciitis, offering a solution designed for those experiencing the dreaded inflammation and pain of the ligament. The Fresh Foam 1080v7 comes in five various colors including light blue, purple, gray, pink, and blue-pink. The material of the shoe is manufactured using imported synthetic fabric all designed with a singular purpose of providing comfort. The fresh foam of the midsole is sure to provide an adequate amount of arch support and overall has an impact on improving gait and overpronation of the foot. New Balance decided to use science and proven data to design these sneakers, and in turn have produced a tremendous pair of plantar fasciitis shoes which are hard to rival. Nike running shoes now have a newly released Air Max, and they have improved upon what are already successful sneakers. They used a creative combination of synthetic and mesh material while integrating a series of fly wire cables that function as a lacing system. The plush foam and mesh tongue offering a breathable surface, while the mid sole offers improved motion control for those harmful overpronation issues. As an added safety feature Nike placed a reflective pattern on the side of Air Max 2017. This particular design is offered in six different color variations so you are sure to find just the right color to express yourself while alleviating mid-foot and heel pain. When it comes to Nike plantar fasciitis shoes you will be hard pushed to find anything better than the Dual Fusion Run 3. Available in both men’s and women’s versions, these overpronation running shoes fit true to size and allow for an utmost comfortable running or walking experience. Made of breathable synthetic and mesh uppers with a rubber sole, there is also a lightweight firm phylon carrier and soft interior phylon core, with a perfect midsole that creates a gently cushioned ride. Whether you’re after a pair of the best running shoes for plantar fasciitis or for general everyday walking, don’t overlook the Saucony Kinvara 6. Not only do these sneakers look awesome, they are highly respected among their verified owners who suffer from various other problems such as fallen arches or severe heel pain, and require specialist shoes for flat feet. This range has become immensely popular due to its ability to offer smooth transitions whilst keeping your feet secure and aligned. Due to continued innovation and development taking place over the years the Saucony Kinvara 6 is a fully equipped for all rounder. Reading any of our top 10 running shoe reviews will tell you that Saucony is a company very well-known for designing and manufacturing some of the best sneakers of all time. The Guide 9 is created using an imported synthetic fabric. The rubber sole works to create stable footing for the wearer whilst the mesh material of the upper is supported using an exo-skeletal system. These sneakers will not only help with plantar fasciitis pain but will also get you out running on the road in no time. This variant comes in seven different color variations so you are sure to be wearing the best shoes for plantar fasciitis whilst showing off your personality. 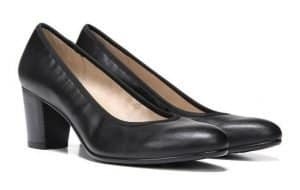 Some office workers out there might need to be wearing a bit of heels on Mondays, the Naturalizer Naomi pumps is perfect for every uniform or corporate wear on any day. The heels of these Naomi pumps are not high enough and can actually help in some cases of plantar fasciitis. If you worry about foot pains because of high heels, worry not when it comes to the Naturalizer pumps. These pretty pumps feature Naturalizer’s patented N5 Comfort technology, so it has extra cushioning to absorb shock and distribute pressure, and the heel shape is designed for stability and a secure fit. They have wide heel support and a solid and comfortable base, so you can wear these pretty pumps without further aggravating your foot pain. When it comes to style and appearance, this pair also never disappoints. These pumps are not just comfy but are very pretty as well. Women who have been wearing pumps by Naturalizer constantly shares their daily dose of the compliments they get because of the shoes. So if you want to enjoy a block style and appropriately-sized heel with a rounded toe box and a stylish pair, get a pair of Naturalizer Naomi shoes now. Every footwear from Vionic has been known to work great even on persons who have a couple of feet problems. The Spark Minna ballet flat looks elegant enough to be worn at work and super comfortable for everyday casual wear. These high-quality flats are loved by all the women who never liked wearing heels, despite the simplicity of these flat shoes, the extremely look elegant and fashionable. It also has a removable cushion foot bed for added comfort. It is nice to know that these particular pair of flats by Vionic is actually really made for those people with plantar fasciitis and other issues. The Vionic Spark Minna ballet flats also come in a wide range of colors and patterns that you can easily choose from. This pair is truly wonderfully made with both style and comfort in mind. This dress shoe by Dr. Comfort is a truly a crowd favorite. The Dr. Comfort Wing therapeutic shoes can be easily paired with any casual to formal wear and you’ll instantly look spiffy and smart. It is a very lightweight pair that offers both comfort and style. A timeless classic is surely what everyone admires that is why this pair has been topping the therapeutic shoe industry for long. When it comes to quality, we assure you that this pair of classy footwear is well-made not just based on style but also comfort. The shoe exterior is made of a sleek, polished leather surface and a moccasin toe with beautifully invisible stitch detail. When it comes to being an ultimate lightweight, the Dr. Comfort Leader Dress Shoe is a definite stand-out with the lightest, excellent quality materials. For added and superior comfort, this comes with gel inserts and convenient closure for super easy adjustment. Even with the finest leather craftsmanship, this particular shoe is fully breathable to wick away moisture from your feet. From the inside, you get to enjoy a padded leather lining that helps your feet stay comfortable, dry, fresh and free from friction and injuries. As said earlier in this post, the shoes from Vionic will never disappoint. Most especially this great work shoes for men, the Preston loafer. This pair is podiatrist-designed and made to address an ever-expanding array of foot and leg problems for all men out there. It features its fine premium leather exterior and a lightly padded top line to protect sensitive feet from chaffing, also its deep heel cups helps best when it comes to foot realignment. This is indeed an orthopedic work of art created with an ultimate form of protection and support your feet will ever need. Additionally, this this moc toe loafer is brilliantly made with lightweight and flexible EVA mid-sole for added comfort and superior shock absorption upon impact. There is surely no foot issue that the Preston loafer can never resolve, so why don’t you give it a try? The New Balance 928v2 are quite possibly the most comfortable walking shoes for plantar fasciitis in their product range. They are known to offer utmost stability and cushioning thus considered one of the best shoes for overpronation even after mile upon mile of usage. The subtle design looks great and comes in 4 colors to choose from. This model has been around for a number of years but it continues to gain popularity with those experiencing some type of foot arch pain or abnormal gait. The advanced stabilizing rollbar technology is amazingly supportive, and the midfoot cushioning never fails to deliver it’s purpose; the MW928v2 was designed with lateral stability and comfort in mind, which it does very well from the heel to toe box. The podiatrist designed Orthaheel motion control shoes force the overpronator to stand and walk correctly which makes it ideal for improving balance and abnormality of gait. The antibacterial removable orthotic inserts have contoured arch support, and a heel cup which realigns the stride, all of which help to allow for walking without discomfort. They have shock absorbing soles and a tough leather upper providing strong support where it’s most needed, adding quality and therapeutic benefit to the overall structure of these sneakers. Armed with an American Podiatric Medical Association (APMA) seal of approval, the Orthaheel is one of the best walking shoes for plantar fasciitis to date. 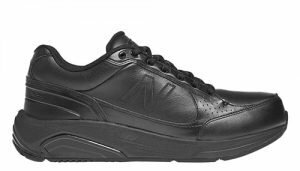 The Kona was created by Vionic, a company that specializes in medically supportive shoes. It was manufactured using an imported synthetic material offering these orthotic shoes which fit like a glove, making them perfect for natural foot alignment and with padding that has pain relieving properties. The sole was made using well-gripping rubber material for superior traction. As you’d expect, this shoe was created to offer a quality of support that would only be beaten by the level of comfort it offered, and the one word that keeps coming up is comfortable. Vionic made these available in 4 color variations including navy/coral, grey/lime, black/fuchsia, and white/blue. OOFOS is on the list again for designing another pair of good flip flops for plantar fasciitis. This time though they created an ultra-comfortable thong flip flop that is made of imported synthetic materials. 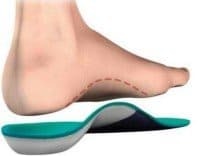 The height of the sole measures at one inch and the raised rocker type design improves motion control and gait whilst reducing overpronation and pressure on the sensitive areas of the foot. It offers a basic yet elegantly molded and textured foot bed that also offers an incredible amount of supportive comfort. The sole is also created of synthetic material too. OOFOS offers these flip flops five different color variations including red, slate, violet, mocha, and even cloud white. Vionic is on the list again this time offering the Tide II, an incredibly comfortable pair of sandals for plantar fasciitis. You want to talk about color variations; this one comes in a ridiculous amount of color at 27 different choices. Vionic created these orthotic sandals using an imported synthetic rubber sole and with the intent that you can wear them all day long with little or no pain at all. The specific purpose of these are to reduce the amount of stress felt upon the wearer’s feet due to the EVA lightweight rubber material of the midsole functions to absorb shock. Flats, or heels of no more than two to three inches. High heels and stilettos are not ideal. In general it’s usually the best running shoes for plantar fasciitis from top brands such as the ones reviewed below which tend to manufacture the most purchase worthy. They have invested big money on research and manufacturing their product to provide protection against high impact usage which will in turn provide padding, good arch support, and optimal shock absorption where it matters. 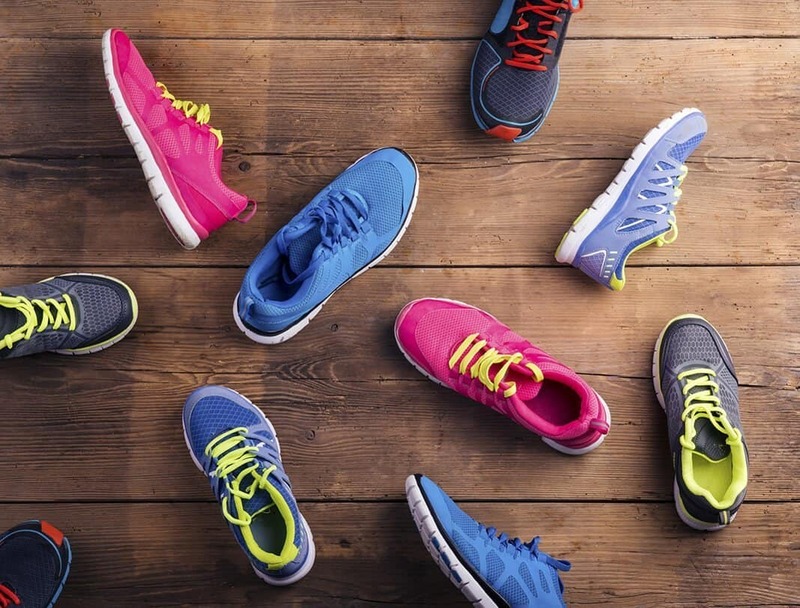 Each of the shoe reviews below go into more depth on how they benefit people with symptoms. Motion control shoes are ones which are durable and rigid with the purpose of limiting inward rolling of the foot which is known as overpronation. They are perfect for improper foot alignment due to the ability to realign the foot to a natural position which reduces gait abnormalities, and the possibility of wear to other body parts like the knees, hips and lower back. 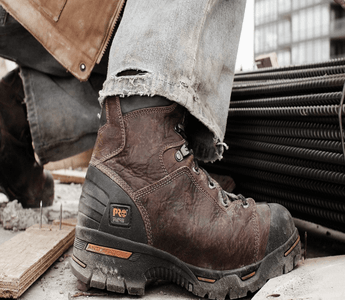 Normally you wouldn’t easily be able to identify motion control shoes just by looking at their exterior, so it’s worth checking the specification to ensure it caters for this need. The best shoes for plantar fasciitis and overpronation are ones with good arch support. Look out for shoes which place extra emphasis on this. It’s important that the medial arch doesn’t become flat else ligament strain will occur midfoot and in other places which will in turn lead to increased pain in the feet. Usually the manufacturer will emphasize the technology or design efforts used to address this characteristics, which most commonly achieved using custom patents. Good heel cushions which provide adequate padding and support is ideal. Many orthotic shoes have state of the art gel cushioning which reduces shock during high pressure impact, and normal usage such as continual walking or running. As orthotics are to be worn throughout the duration of your treatment, this characteristic is one which cannot be neglected. When you visit a podiatrist they will almost certainly ask you to buy orthotic friendly shoes, which mean if it has removable insoles it’s a bonus because they can be swapped out for the recommended orthotic inserts if the default doesn’t quite fit or perform as expected. Also, if the original becomes too worn you can buy specialist insoles to replenish the interior if the exterior is still in good enough condition to keep. The best plantar fasciitis shoes will have minimal bend or twist in the midsole. Too much flexibility gives way to overpronation which is not good. The overpronator will find more comfort from a relatively stiff mold as opposed to flexible. Avoid buying cheap shoes. It’s not so much the price we’re concerned about because sales occur all the time, it’s the overall quality of budget shoes we’re referring to. A number of the options we review below may be some of the most expensive shoes in this niche but there is a valid reason. In reality you really do get what you pay for, and paying for cheapest is not going to help. Ones which are too flexible should be avoided because they fail to provide the stability and support required to qualify a title as good shoes for overpronation. Valid examples would be materials such as canvas and cheap leather, these should be avoided at all cost. There is plenty of good looking footwear on the market ranging from the Medusa clad Versace sneakers to design aplenty Nike Air Max 90’s. However looks should come second in this scenario so don’t prioritize fashion; function comes first. Not everyone’s circumstances are the same; not everyone experiences the same amount of stress to the fascia ligament and each person has their own pain threshold. Each person may have different lifestyle or habits which is invoking the condition. However, one thing for certain though is ensuring you have the correct sneakers at your ready means whichever scenario or category you find yourself in you’ll have no problems to combat and alleviate whatever is causing pains. We’ve discussed above based on expert and user reviews some of the best shoes for plantar fasciitis and overpronation, however it’s your choice now based on budget and design because ultimately they are all cherry picked and top rated which are renowned for being fit for purpose.